Porto, Portugal´s second largest city and located in northern part of the country, spreads across the base of a forested valley with crimson peaks along the river Duoro slopes. 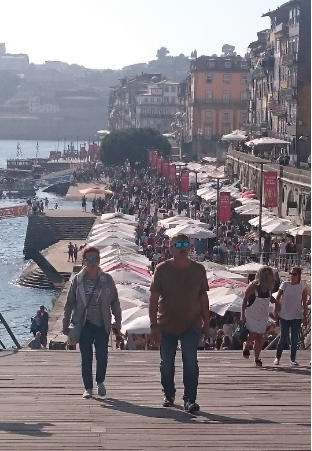 At the end of the Middle Ages, Porto was a city with a thriving commercial activity, mostly carried out near the port and at the administrative facilities that can still be seen today on the quayside. 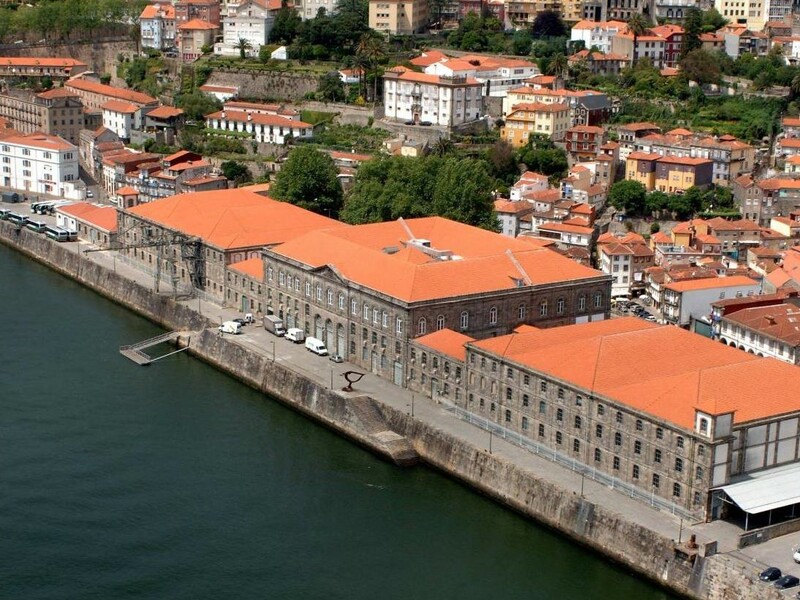 Here in Porto, the Port Wine is left to age before it is sent to all corners of the world. This beautiful coastal city is one place where visitors can step back in time while exploring the seemingly disorderly medieval UNESCO-protected center with many historic buildings waiting to be discovered not to forget the city emblematic iron bridge Ponte de D. Luis built by a disciple of the famous Eiffel. In this riverside area close to Cais da Ribeira, you will find a number of pavement cafés and restaurants famous for local cuisine and wines. 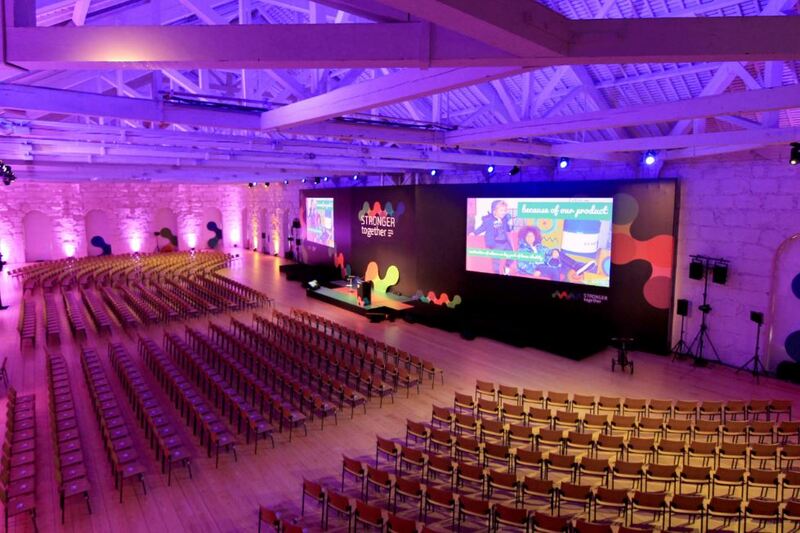 Just a few minutes further you´ll find the venue of Alfândega with first written reference in the 12th century. With the expansion of commerce to the north and after many conflicts between bourgeois and Porto´s episcopal authority, Alfândega appears as entity of central authority. It will be used as a warehouse to store goods before it becomes a customs house some time during the 14th century. Much later the Custom´s ;house also established a connection with the railroad, which you can clearly see still today. After more than 100 years of customs service, the Customs House sees it´s services moved. Not until the 1990-ies the building was turned into a museum of Transports but it also opened its doors for other activities hence a Congress centre for which it has won many awards. Francisco Sá Carneiro Airport (OPO) is located 8 miles (13 km) to the north of Porto and is serviced by companies like Iberia, Lufthansa or TAP and is also serviced by low-cost carriers such as Ryanair, Clickair and Easyjet. Porto. If you travel to Lisbon, Faro, Coimbra or Braga before heading to Porto, you can take a high-speed train to Porto called the Alfa Pendular. Estacao de Campanha (Campanha Train Station) is the terminal of trains leaving for and arriving from Lisbon, which takes about 3 hours. Estacao de Sao Bento (Sao Bento Train Station) located in central Porto is reached by the city´s metro system from the aiport (30 min) and from Campanha Train Station.